Ambulance staff have rallied to the defence of their outgoing chief executive after his tenure was criticised by an East of England Labour MEP. Alex Mayer wrote that Robert Morton had overseen “three chaotic years” at the helm of the East of England Ambulance Service Trust (EEAST). She added: “I welcome the resignation and hope that a new chief executive can be found swiftly who will put the concerns of staff and patients at the heart of every decision. 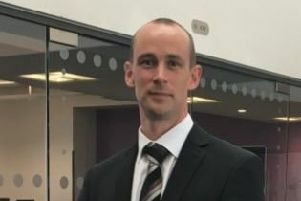 Mr Morton’s departure was announced on Friday evening. It comes a few months after it was revealed that ambulance delays last winter had caused five people in the East of England a degree of harm, while three people were caused “severe” harm. In addition, the ambulance service was rated as ‘Requires Improvement’ a couple of months ago following an inspection, while there have been media reports of patients waiting a long time for an ambulance both in and out of Peterborough. The ambulance has also now sent out a press statement. Its chair Sarah Boulton said: “For three years Robert has successfully secured long-lasting changes on behalf of patients and staff. Together, we have found a talented and steadfast board to lead a wider team to deliver those improvements. “The biggest achievement of the board he built was to secure a six-year contract with our commissioners. This means we can recruit more staff over the next three years and increase the numbers of ambulances we have on the roads. “As a result we expect to see improvements in performance, particularly in the least densely populated areas of east of England such as Norfolk and Suffolk. Mr Morton said: “While I feel privileged to be the chief executive of EEAST my future plans mean I cannot commit to a further three years. I feel this is the right time to hand over to someone else. Mr Morton’s leaving date has not yet been confirmed. The ambulance service said during his tenure it had become financially balanced and that there was a reduced variation in the quality of care for patients.